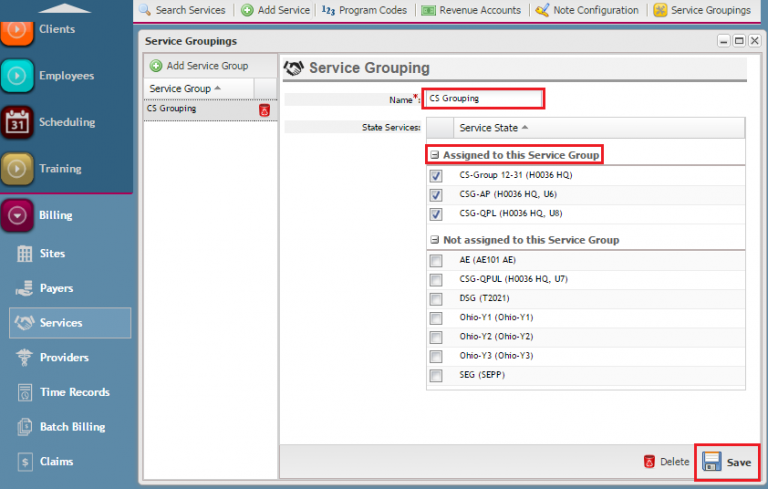 Service Groupings is a way of linking group services in OnTarget to prevent overlapping validations from firing. 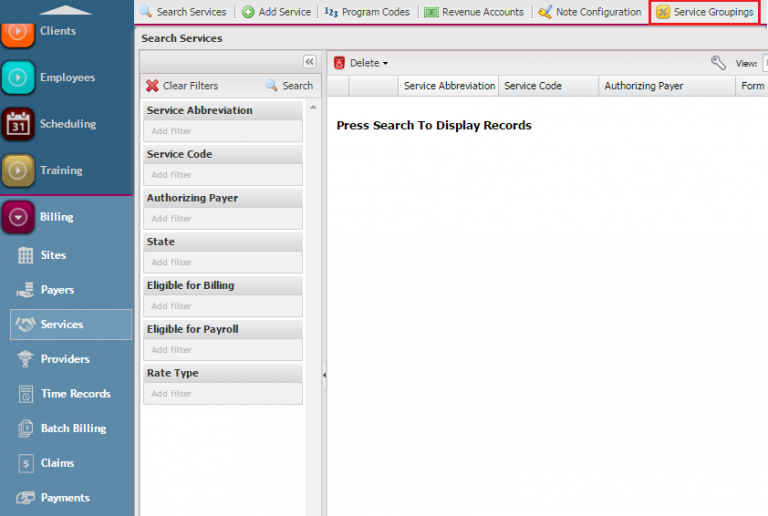 Service Groupings are configured under the Services desktop in OnTarget. By linking group services together, the system will handle the scenario where caregivers provide a group service and the clients within the group have different authorized services. First, ensure that roles needing access to Service Groupings have access. 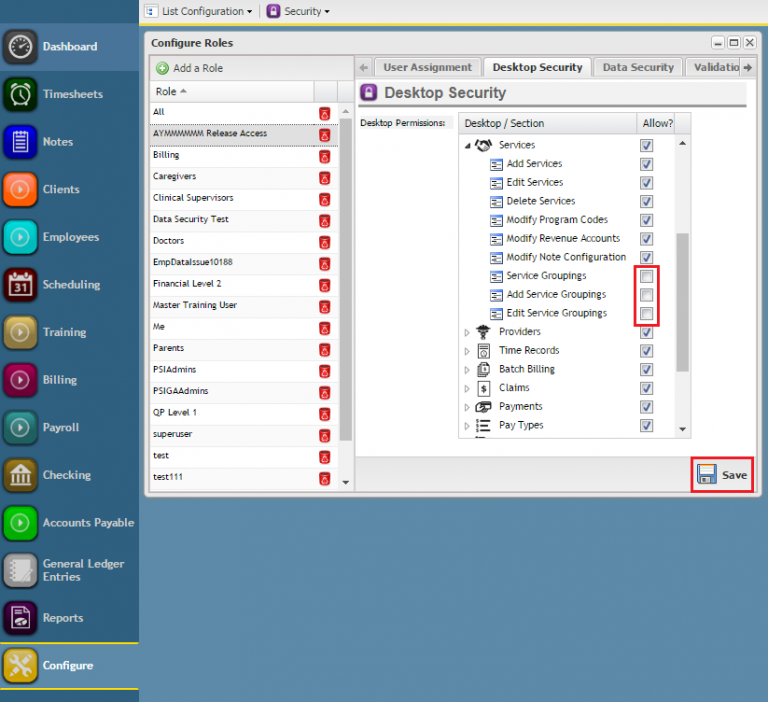 Go to Configure, Security, Configure Roles. Select the role that needs access and then expand the Services section. Check "Service Groupings" in order to see the new screen and then "Add’ and/or "Edit" accordingly. Repeat as necessary for each role. Next, go to Billing, Services. Click on Service Groupings at the top of the form. Click Add and give the grouping a name. Note that only group services are displayed. Next, check each service that belongs to the grouping. Click Save. Now, any schedules, notes and time records for the service grouping will not be eligible for the overlapping validations. All time provided by a caregiver for the group services will be aggregated together for payroll purposes.